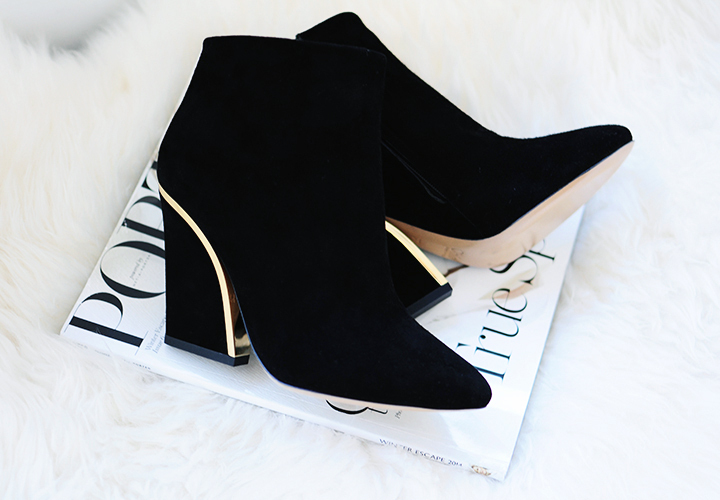 I OWN A LOT OF BOOTIES AND THEY ALL HAPPEN TO BE BLACK - SURPRISE SURPRISE! YES! THESE ARE BLACK (AGAIN! 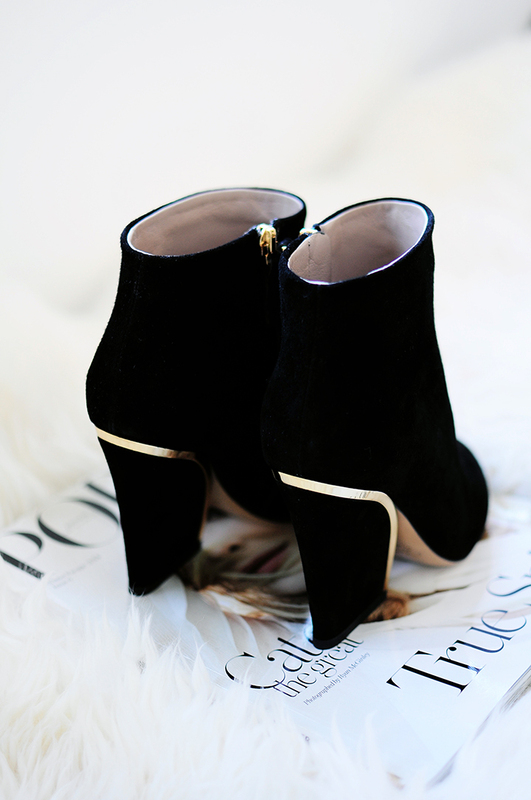 ), BUT THESE CHLOE BECKIE BOOTIES ARE MY FIRST PAIR OF SUEDES. 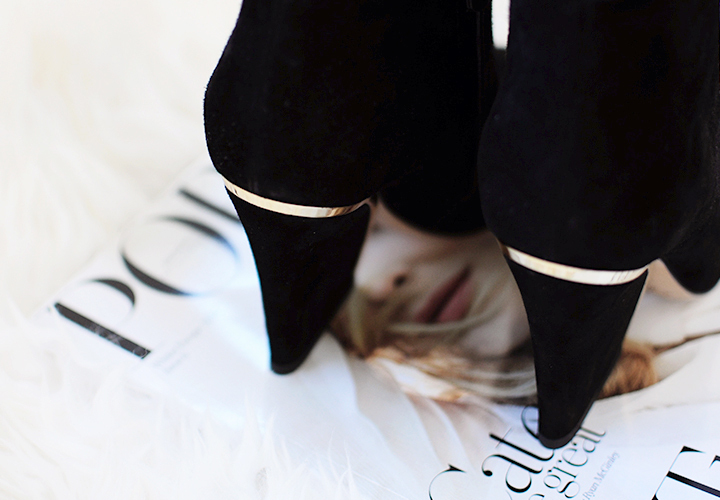 THE BUTTERY SUEDE WITH THE DELICATE GOLD TRIM AROUND THE HEEL IS WHAT STOLE MY HEART. WITH THE BECKIE BOOTIES BEING AVAILABLE IN LEATHER AND IN THE PUMP VERSION (SUEDE & LEATHER) I'M TEMPTED TO GROWING MY BECKIE COLLECTION. These are fabulous! And on sale! So many heart-eyed emojis.